Pretty fun colors, huh? I went with a more clean and simple approach this time around, and also used Get Sketchy #33 for it! 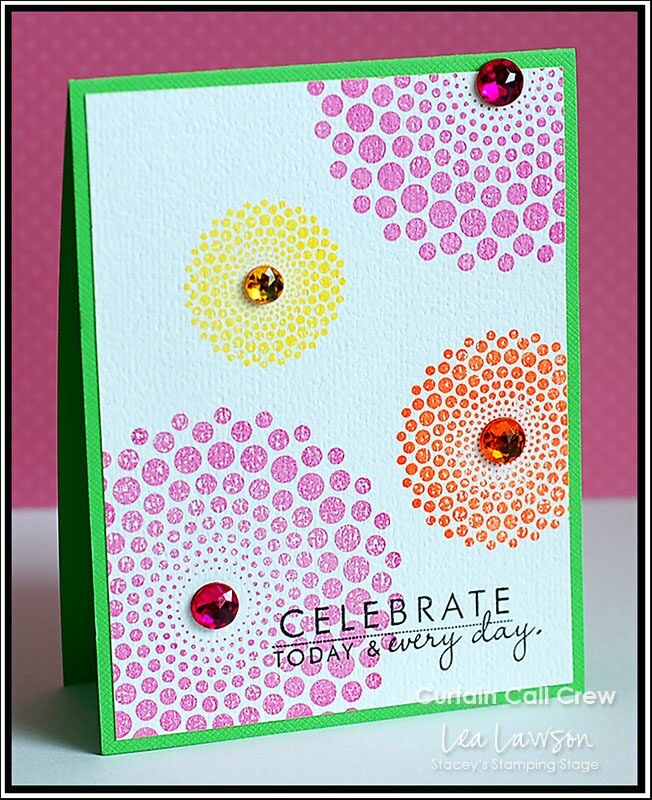 Love the fun circles...especially when it means I can break out my Dot Spot stamp set!! 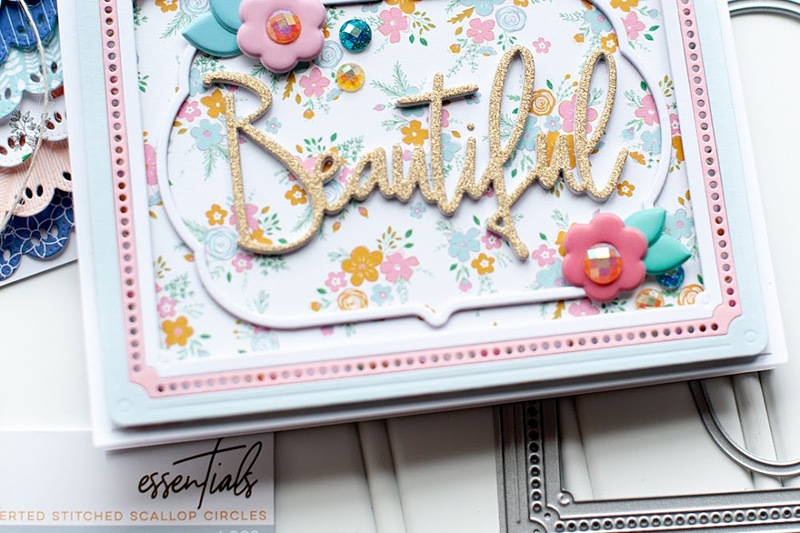 ♥ I would normally use a smooth cardstock when stamping with this set, but I decided to try out a textured cardstock. And for this card...I am loving the imperfect stamping! I wouldn't like it on every card, but I think it works here! wow! so pretty! love your take on the sketch! fabulous card! wow! this is just stunning so eyecatching! What a fabulous set. Love the stones too! soooo sweet! love the colors and bling! Your stamp work never ceases to amaze!! LOVE it! Wow, pretty card, wonderful colors, great combination. great way to use those bright, bright colors! Wow, I am absolutely loving your card, fantastic job on this! 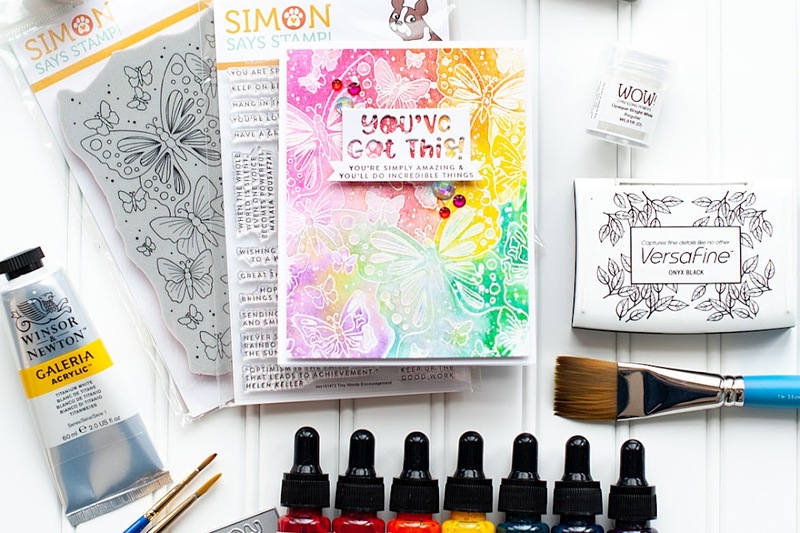 What a fabulous use of these colours as well as that Dot Spot stamp set - very clever! Great card Lea! I almost used my dot spot for this sketch to. I really should break it out one day! 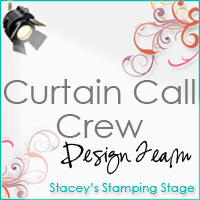 Love the color scheme- thanks for stopping my my blog - I am a new follower! This is so eye-catching, and a great use of the colors! I am finding more and more reasons why I need Dot Spot! Love the clean look! Great use of the colors! Oh, It is really so clean and refreshing colors match. This is quick too, I love this one very much! well snap! its bright, bold, and beutiful!!! Gorgeous Lea, and so SO fun! Lov ethe blingy centers! 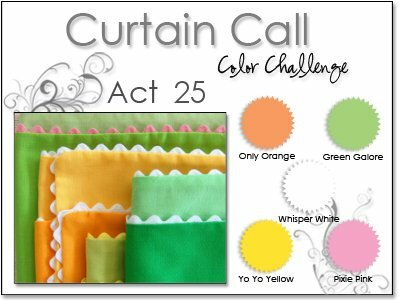 Super approach to these "challenging" colors! 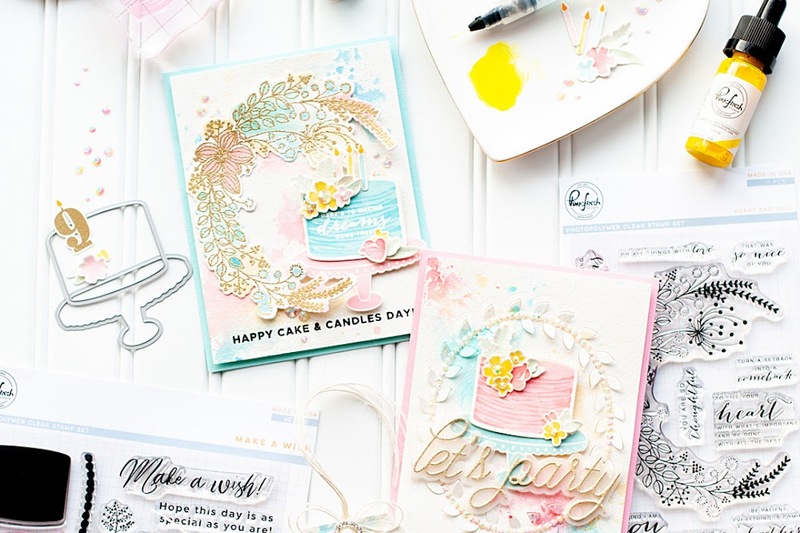 The textured cardstock really gives it and added dimension. The bling is incredible! Super cool! You have made me want this stamp set! I should have ordered it last night. I knew there was something else... shucks!